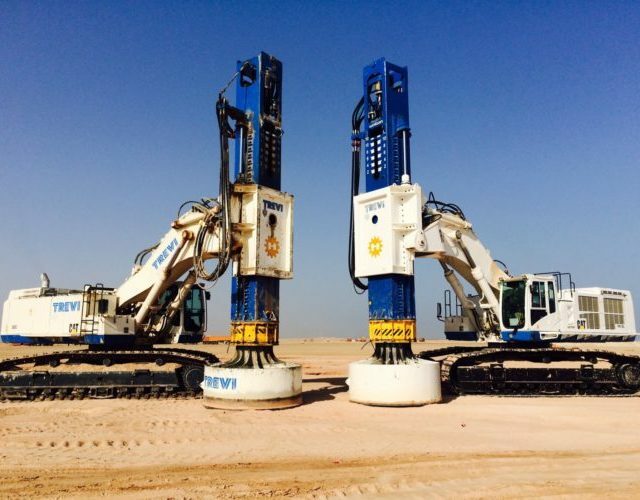 Soil compaction machines, also known as Rapid Impact Compaction (RIC) OR Rapid Dynamic Compaction (RDC), compact shallow, granular soils using a hydraulic hammer that repeatedly slams an impact plate on the ground. We have designed and built our own RIC and RDC machines that have proven their worth time and time again over the last few years. We have three standard proprietary soil compaction machines, but you may of course engage us to build a bespoke RIC or RDC machine based on your specific wishes and requirements. Wij hebben onze eigen RIC machines ontworpen en gebouwd, die zich in de afgelopen jaren keer op keer hebben bewezen. 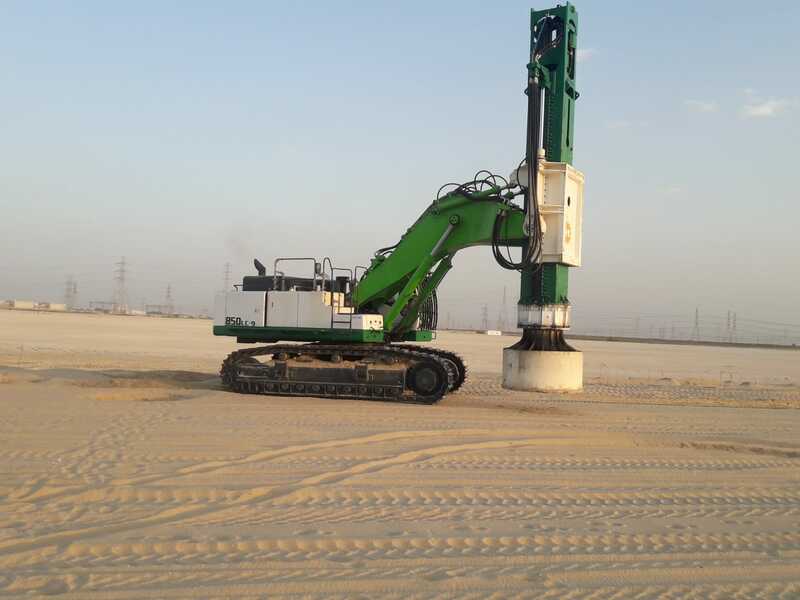 The engineering department specialises in custom designing soil compaction machines for your project. Our team of experts provides you with advice, focuses on technological research, carries out calculations and draws up planning schedules, all to ensure that we develop the best bespoke soil compaction machine for your project. But they also focus on developing new parts and innovations for or improvements to soil compaction machines. Our engineers translate your ideas, wishes or requirements into a design. They draw up the necessary 3D-drawings, capacity specifications and strength calculations. We work with modern CAD-programmes and Finite Element Analysis. This methodology allows complex structural behaviour to be modelled, with the benefit being a closer approximation of the definitive situation already at the design phase. It is then also possible to analyse multiple design variants in a short period and to select the best option. For instance, we can optimise the weight of a structure, which can have a major impact on the size of the rig. In addition to the three standard models, we also produce bespoke solutions in line with your specific requirements. We are not dependent on a particular make for the base rig, and take your wishes as our starting point. Over the last few years, we have produced many RIC machines and are very experienced in this area. The soil compaction machines we have produced have proven their worth repeatedly. In our fully equipped metal and hydraulic workshops and paint shop, we employ skilled welders, mechanics and paint sprayers who ensure that you get a top-notch end product. The welding, hydraulics and assembly of the soil compaction machines and appliances are all completed here. The soil compaction machines and appliances are then treated in our paint shop to preserve them.